Our cats are Cat Fanciers' Association (CFA) or The International Cat Association (TICA) registered, and our cattery is CFA and TICA registered. We are a small cattery in Palm Springs, California. We have been breeding the Sphynx cat breed for a little over 14 years. We breed for both health and quality. The Sphynx cats in our breeding program are shown in the CFA. The cats have been in cat shows, and a lot of the cats are champions and grand champions. All of our Sphynx kittens have at least two vaccinations before leaving. We use Merial's PUREVAX. 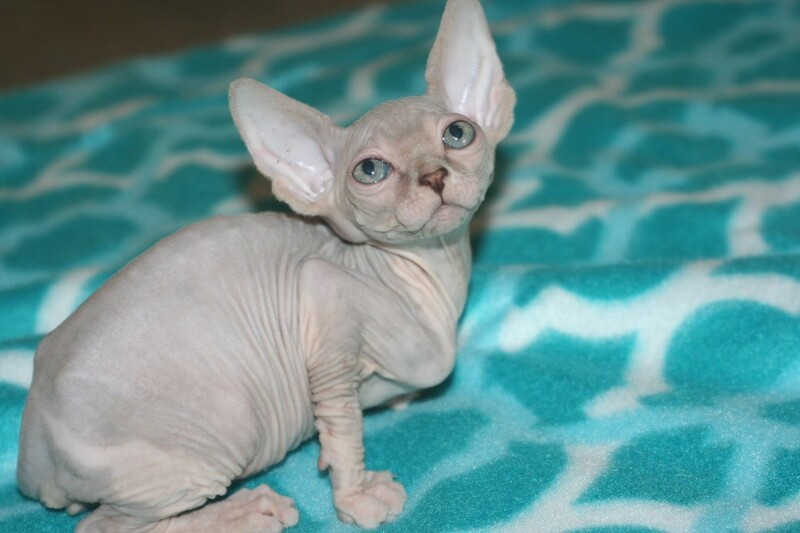 Our pet Sphynx kittens are sold with a spay/neuter agreement. We will place our cats only with people who agree not to declaw Cattablanca Sphynx kittens, will only keep the cats indoors, and will never cage them. We also keep By Nature Organics dry food down so that they can eat as much as they like throughout the day. We use non-clumping clay cat litter. Our Sphynx kittens are raised underfoot with lots of handling several times a day. Before they reach five weeks of age, they are kept in a maternity ward that consists of an extra-large mesh enclosure that has an opening at the top so that the mother can come in and out as she wishes. We do not let our Sphynx kittens leave before 12 to 14 weeks of age. We love each and every one of our Sphynx cats and kittens, and we hope you will love them too. We ship only within the United States and Canada. Our Sphynx kittens are registered with the CFA. We accept checks, cashier's checks, and PayPal for payment.